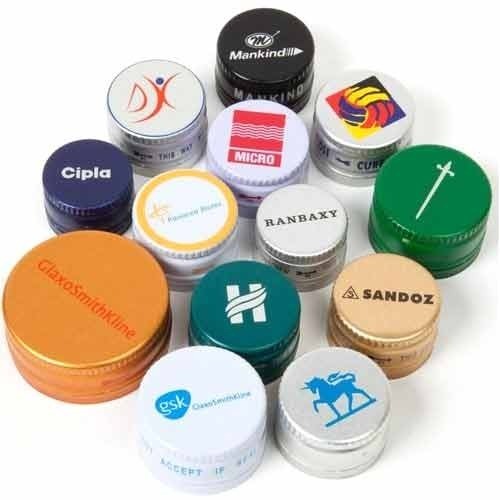 Our organization has successfully expanded its business in market owing to the offered elevated quality array of Syrup Bottle Caps which are used for packing various pharmaceutical bottles. Offered caps are manufactured with quality approved basic material and sophisticated techniques keeping in mind the set standard of industry. As well, offered caps are tested under the supervision of our quality experts on numerous quality parameters so as to dispatch a defect free range. We "Sia Industries" had our humble beginning in the year 2012. Since its venture, the company has pursued a path of steady growth. We started as Manufacturers of PP Caps. Our consistent innovation and expansion has seen this company prosper. We have plans set to exports our products in a very short time. Our ceaseless drive for producing quality products, dedicated efforts, immense amount of passion and enthusiasm coupled with state-of-the-art of manufacturing facilities has seen all this to happen within a short span of time. In addition to above, we possess a well-dedicated efficient team of experienced personnel who keep themselves abreast of latest developments to deliver you a quality product. The company has a laudable record of accomplishment for serving its customers relentlessly. Today, we are in the process of further strengthening the infrastructure that will be the keystone of our Company’s foray into the foreign shores. Combining our wide experience and strengths in quality work execution alongwith, designing and production skills, we form a very strong team capable of taking on any type of challenging assignment. The operations of Sia Industries are managed and controlled to ensure that each job progresses right from initial design to completion as per schedule with competitive rate and in conformity with Sia Industries quality standards in agreed time schedule.